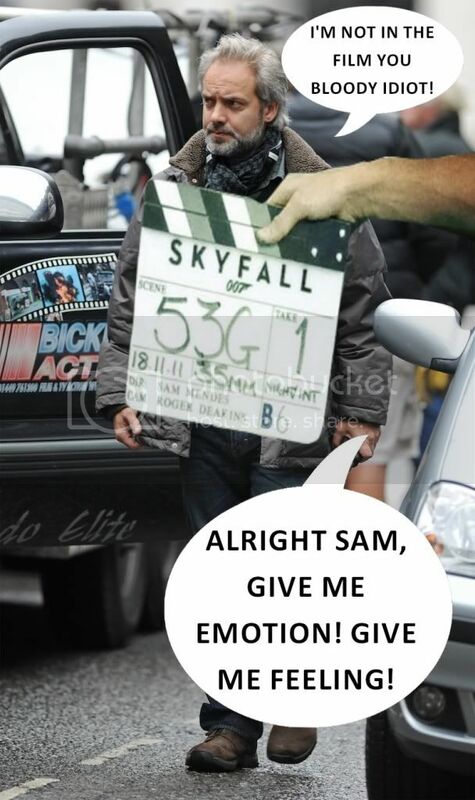 They took the first official image of Skyfall set photos and had their fan base create parody images. Why don't we give it a shot. It doesn't have to be exactly like theirs'. 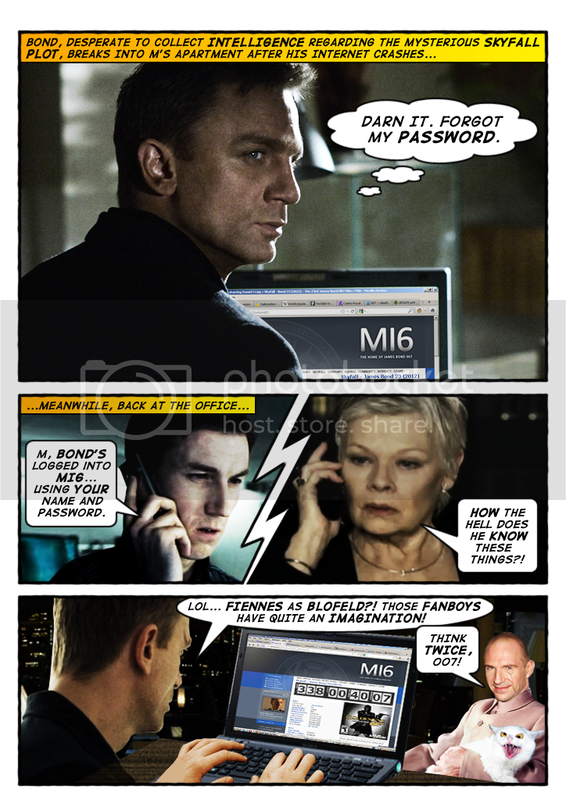 Just something funny and creative, that sort of makes fun of the Skyfall, or any other Bond film/characters. Here's a parody involving this very site. 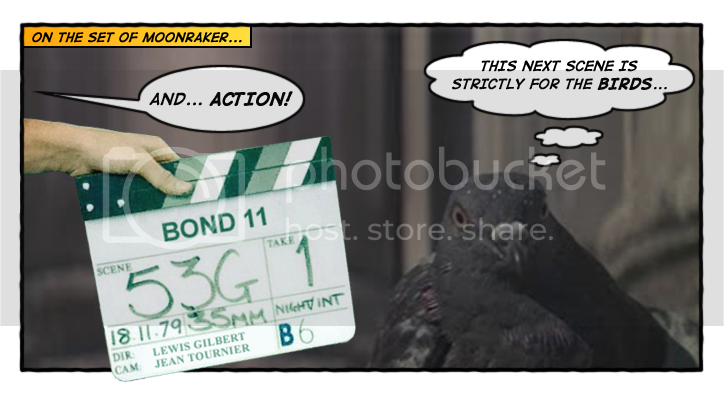 He DOES look like Blofeld. Connery looks a bit short there in the last one. Yes, love the freedom we have in this thread. Nice work! From Rush Hour with Love- that is indeed a clever title. Yes, love this the freedom we have in this thread. Nice work! It's kind of like the CapCon threads- except we choose the pics for ourselves! 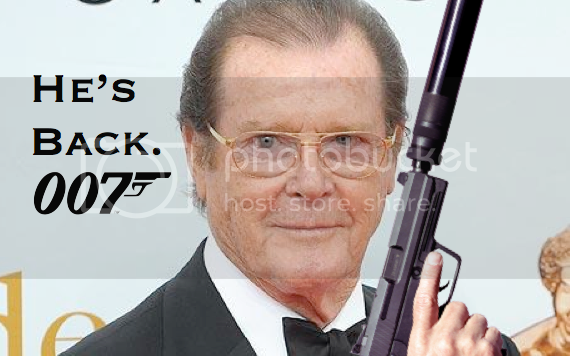 Don't ask me how I came up with this..
"Property of the 50 Foot Lady"
"For the World's Eyes Only"
Indeed, Bond was surprised to discover the true meaning of Skyfall. This one is for you, @DaltonCraig007. Nice! Sir Rog' is back for Moore! Nice work guys :)) ! Lazenby is one mean samurai! Superintendent A separate pool. For sharks, no less. Who hasn't heard of the classic yet controversial film "Sean & Carol & Roger & Alice"? Glad this post made you join our community! Haha Craig looks rather good with a Pedo-stache. I'm American.. so there's that? 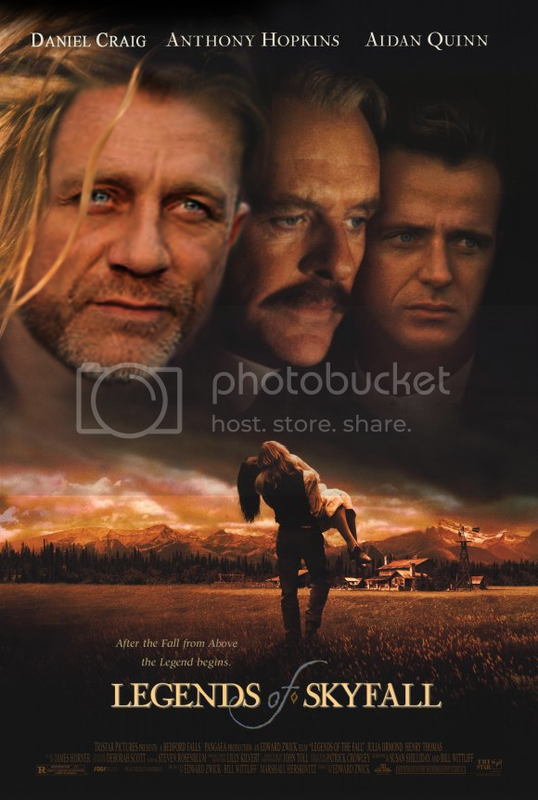 I was just looking for a movie with the word 'sky' or 'fall' in the title. That's as clever as it gets, I'm afraid. The original is Legends of the Fall, if that's any help. I'm American too. So, there is also that.